Good morning everyone and welcome back to the Nation’s Capital as the Washington Nationals and Nationals Park play host to the New York Yankees. In the finale of this quick two-game series the Yankees will send CC Sabathia and his bad knees to the mound and to the batter’s box to square off with Max Scherzer of the Nationals. Please strike out, CC. Please. Every time. Let’s get to it here in Washington D.C.
Sabathia has made five starts since coming off the disabled list back in April and has posted a 2-0 record with a 1.65 ERA giving the Yankees exactly what they needed along the way. 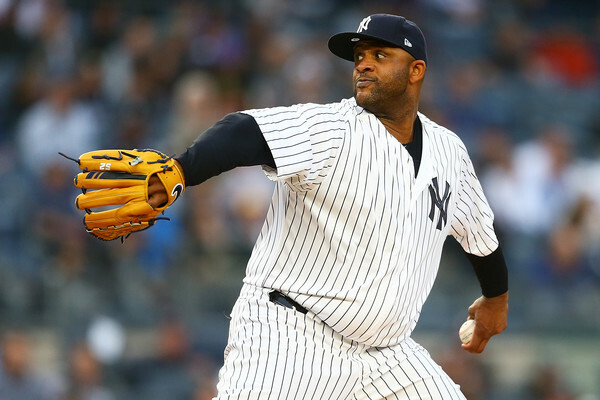 Sabathia has made three starts against the Nationals throughout his career and has posted a 2-1 record with a 2.25 ERA. Scherzer will get his first start tonight against the Yankees since joining the Washington Nationals back in 2015. Scherzer has been a strikeout machine here in 2018 and is on pace to lead the National League in strikeouts for the third straight season. The game will be played at 7:05 pm ET inside Nationals Park in Washington D.C. and can be seen on the YES Network locally and ESPN nationally. You can also follow along with the game on MLB TV, with the MLB At-Bat App and by tuning into the Yankees radio broadcast with the legendary duo of John Sterling and Suzyn Waldman on WFAN. Enjoy the game, beat up on the Natinals (not a typo), and go Yankees! !